Take the most beautiful film you've ever seen. The most spectacular, visually stunning, jaw-droppingly gorgeous film in your memory. Now, double the beauty, and amp of the color by about 15 times. 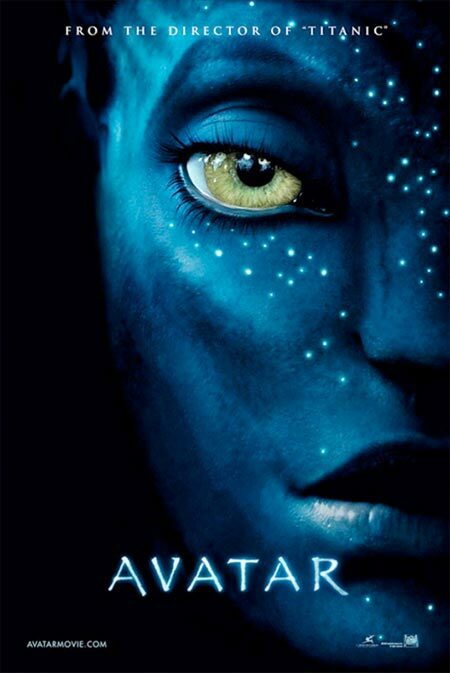 Meet James Cameron's 10-years-in-the-making "Avatar"
Cameron intended this film to be his followup to "Titanic", and after 10 years of planning and wating for technology to catch up to his ambition, it turns out it is. "Avatar" is a spectacle of just what is possible in film in 2009. It's cutting edge in so many ways; there was even a language created for this film. But, while the scope is far-reaching it's story is a simple one with a clear message. Paraplegic ex-marine Jake Sully arrives on the far off planet of Pandora, a jungle world populated by the impossibly agile Na'vi, to become an avatar driver. Essentially, his consciousness will be placed in the body of a cloned Na'vi (grown form Human and Na'vi DNA) to better interact with the natives and convince them to allow mining of something improbably called "unobtainium." Beyond that, watch "Pocahontas" and you've got the basics. But does it matter? Clearly this movie, while having an environmental message, is about the lengths to which technology can improve a movie. In fact, it took what could be a rather dull retread of a stale plot and reinvigorated it with fantastic effects, views, and wonderous vistas.